Sailing is not only a great source of entertainment, exercise and relaxation, but an art form as well. There is something magical about unfurling a sail, watching the wind fill it, and gliding crisply through the water. Whether a person has a passion for the sport aspect of sailing, the adventure that goes with seeing new places, or just the feeling of oneness that comes from being on the ocean, X-Yachts has a yacht that is just right. 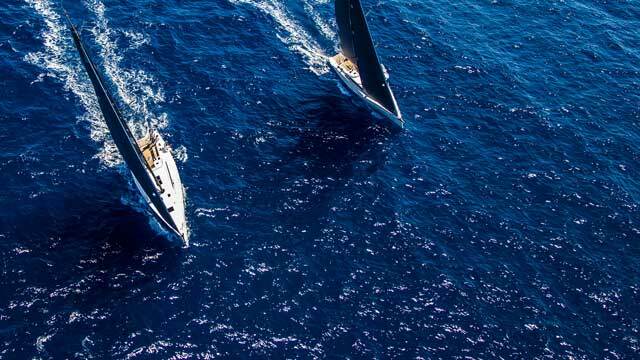 Headquartered in Denmark, this company combines the heritage of sailing with the modern luxuries that one would expect when purchasing a one-of-a-kind yacht. X-Yachts, which was founded in 1979, celebrates its 40th anniversary next year and plans to do so in considerable style. For new CEO, Kræn Nielsen, the upcoming event is an opportunity to celebrate a company that he had known and admired from afar for a very long time. “I have been sailing since I was a child and joined X-Yachts three months ago,” he says. “For me, this job is a dream come true. It gives me the opportunity to combine a lifelong passion and my livelihood in one.” He assures us that next year’s event is going to be very special indeed. There are three distinct categories of yacht produced by the firm. “The XCruising line is comprised of long distance cruising yachts that are enjoyable to handle while underway,” says Mr. Nielsen. The Xc 50 is the largest model in the line and offers the ultimate in customizable luxury interiors combined with easy handling. The XPerformance line of sleek, comfortable yachts combines world-class performance and cruising amenities. The boats in the Xp group are intended to be dual-purpose cruiser-racers. “The yachts in this category are extremely responsive, making them really fun to sail with maximum speed and manoeuvrability,” says Mr. Nielsen. They offer customers similar customization options to the Xc line. Lastly, the yachts in the X-Range category are the company’s newest range of contemporary cruisers. This line embodies what X-Yachts is all about. Offering craft that are ideal for family sailing trips, long distance cruising or competitive sailing gives clients the best of everything the company has developed over its 40 years in the industry. “All of our yachts offer customers a feeling we have dubbed ‘Superb Sailing Pleasure’, but the X-Range category is special in the way it rolls all of the company’s passions into a single sailing experience,” explains Mr. Nielsen. Another reason why 2019 is shaping up to be a banner year for X-Yacht is the scheduled launch of the latest new (top secret) model. The details of the new boat are still under wraps but, if previous launches are anything to go by, X-Yacht customers will not be disappointed. When it comes to keeping its competitive edge, X-Yachts stays creative. “We roll out a new boat model annually and listen carefully to the feedback our customers give us,” says Mr. Nielsen. The company’s most recent launch is the X49, which had its maiden voyage on 13 March 2018. But even before this, the company had sold seven of the new boats off plan. “People believed in the new boat just on the basis of a drawing because they know and believe in our company,” says Mr. Nielsen. “That is incredibly motivating for us.” Along with other events, the maiden voyage of the X49 was shared on various social media platforms. “We have more than 18,000 followers on Facebook and more than 5,000 on LinkedIn,” adds Mr. Nielsen. X-Yachts is one of very few young yacht builders actually making a profit. “In boat building, it is quite difficult to make money continuously,” admits Mr. Nielsen. “The market is extremely volatile. When times get hard financially, it’s the luxury things which are sacrificed first.